So you think you have got all the storage cabinets you need? Missing 1 or 2 you need to organize some special collections of tools or fashion wear? We are here to simply say that you can build all needed types of wooden cabinets with pallets in custom dimensions that will suit your space! 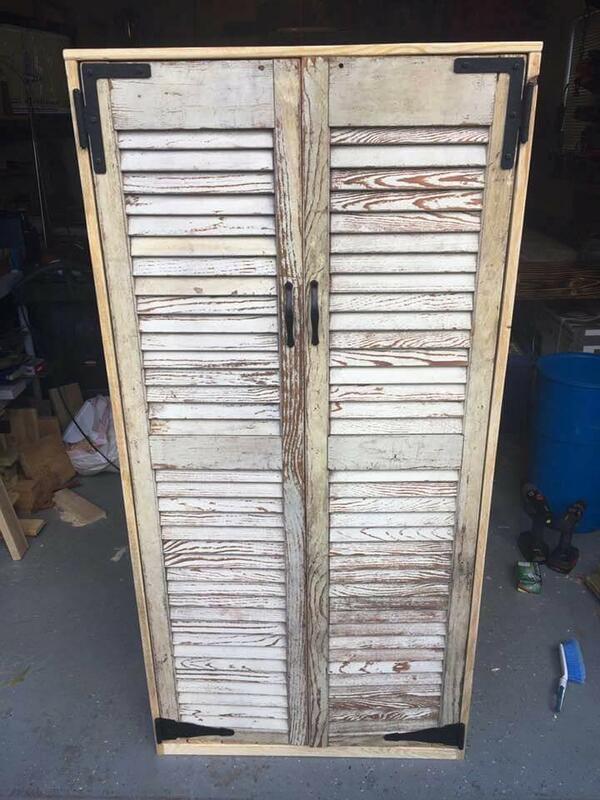 See this well planned DIY pallet cabinet with old shutter doors, good for any storage purpose and is all ready to go in your kitchen or dressing room! 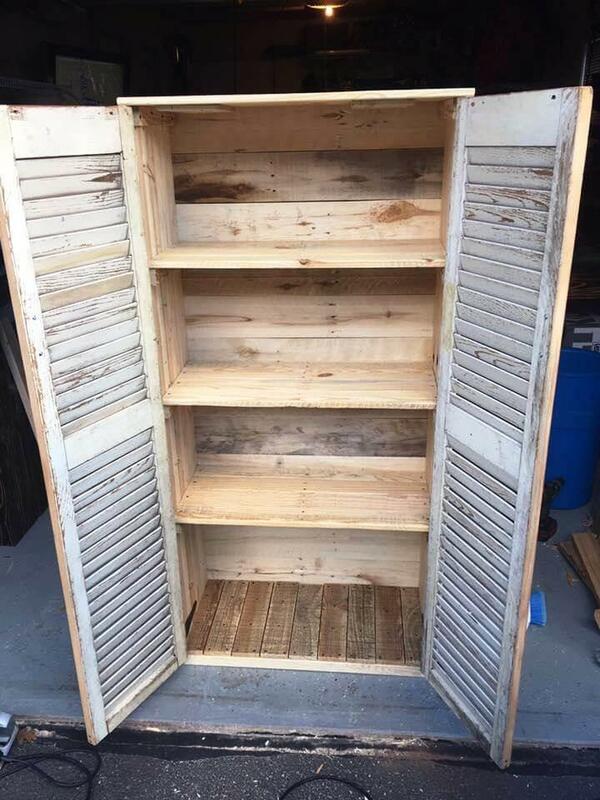 Clone it now using a couple of pallets to store all ranging from clothes to kitchen utensils and can even be utilized as bathroom cabinet! 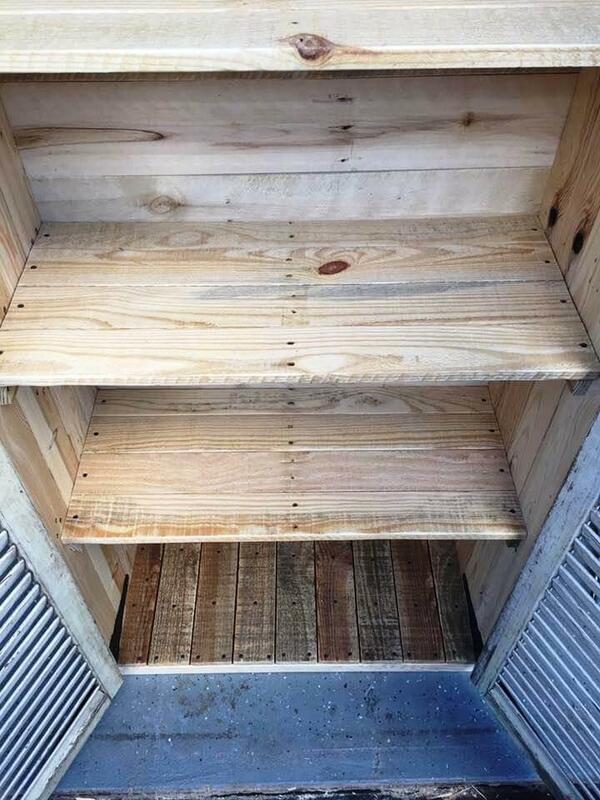 Build entire dimensions of this cabinet with pallet slats and even the inside the shelves! After you install the whole model, you can also build the required cabinet doors using leftover stock of pallet slats! But here doors are actually the reclaimed old shutters! Prefer hardware for solid attachments and overall assembly of the design! 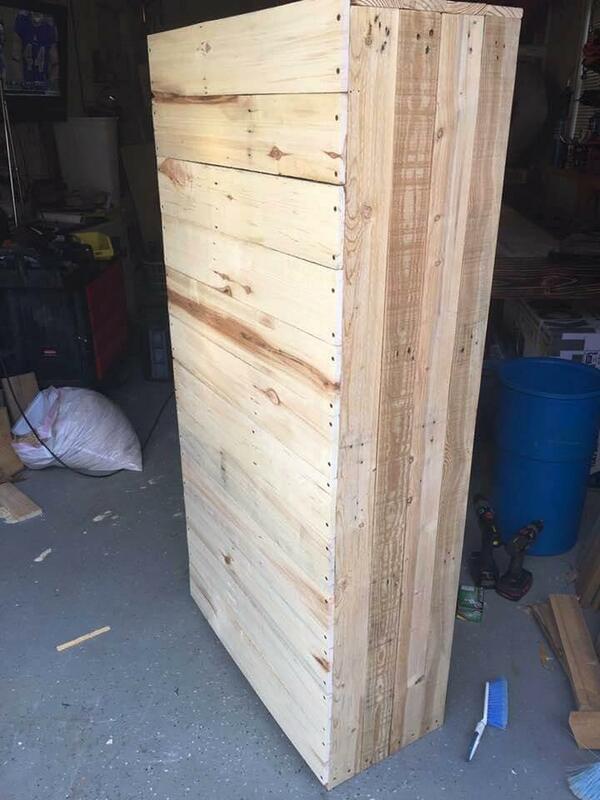 Build a big wooden box by going with straight and flat packing of pallet slats! Add supports inside the wooden box and insert your shelves! Hence you will get a big wooden shelving tower which one can use as a bookshelf too! See here how to build the backside of this cabinet! Put straight the pallet planks on appointed locations and secure them in place by hammering nails over! 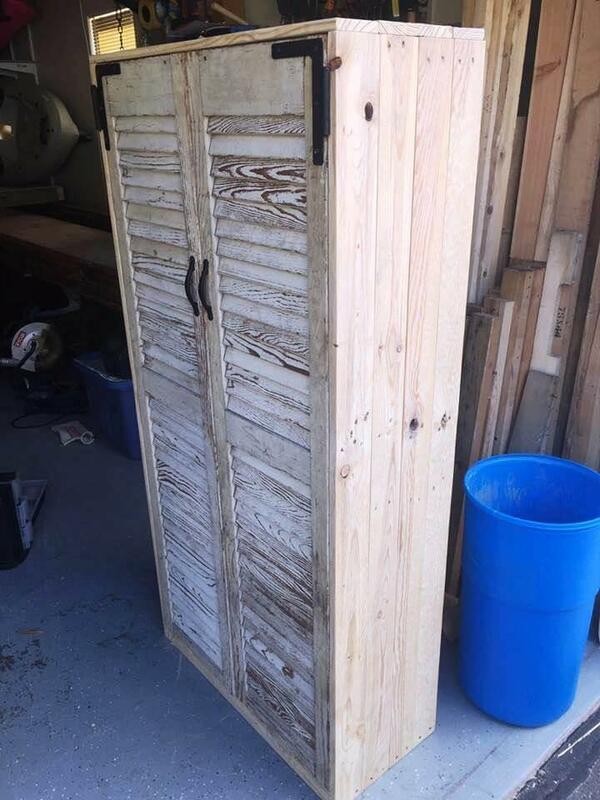 For front doors of cabinets, reuse the old shutters or simply build your own wooden doors using remaining supply of pallet wood! Use longer and super stable hinges for securing doors and to allow their super smooth sniping! 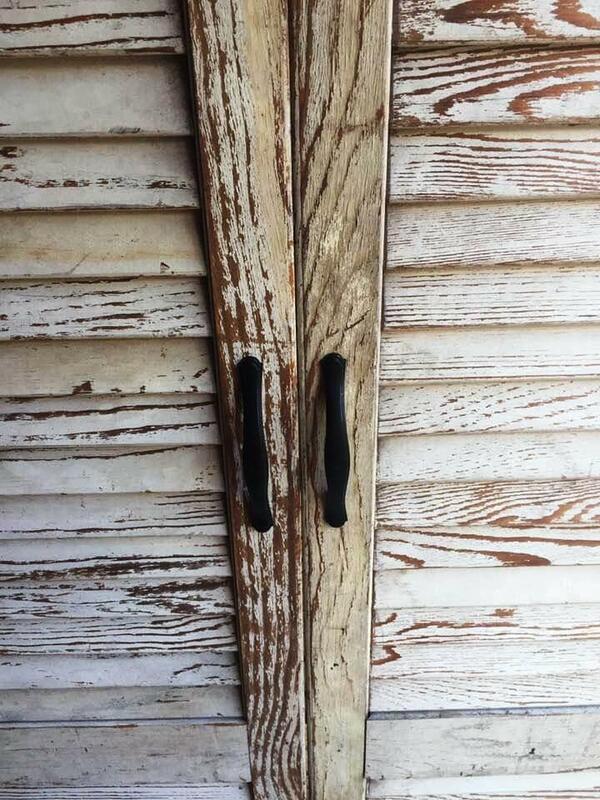 Here 2 large antique L-shape hinges have been used to the top corners for door installation also dignify the appearance of cabinet! 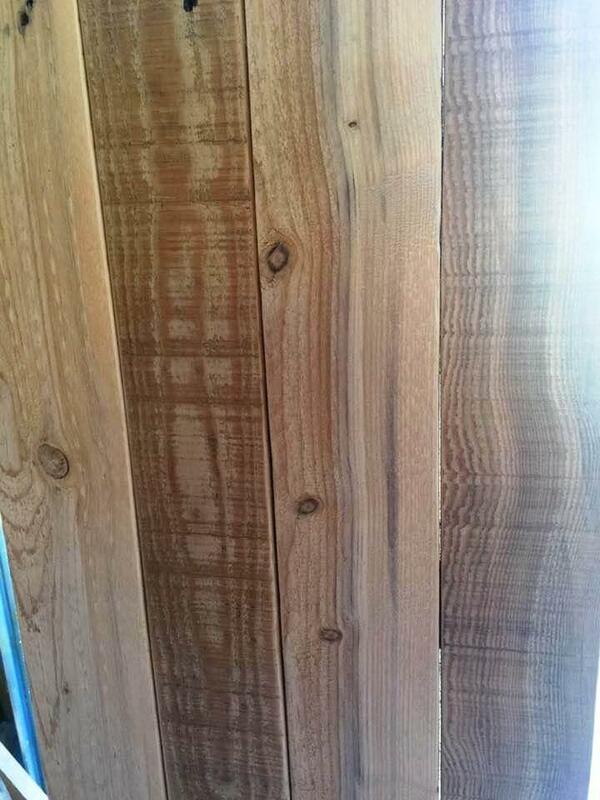 Natural rustic wood lines and patterns would attract everyone! There are wooden knots, rusty nail holes and other wood imperfections that bring an extra rustic vibe to entire cabinet! This precious hand-built cabinet offer 4 shelves to organize your stuff beautifully and in a mannered way! Drag it to your wife’s dressing room as a hand-made gift for here! It would be also work as a stylish storage unit for a kitchen to be uncluttered! 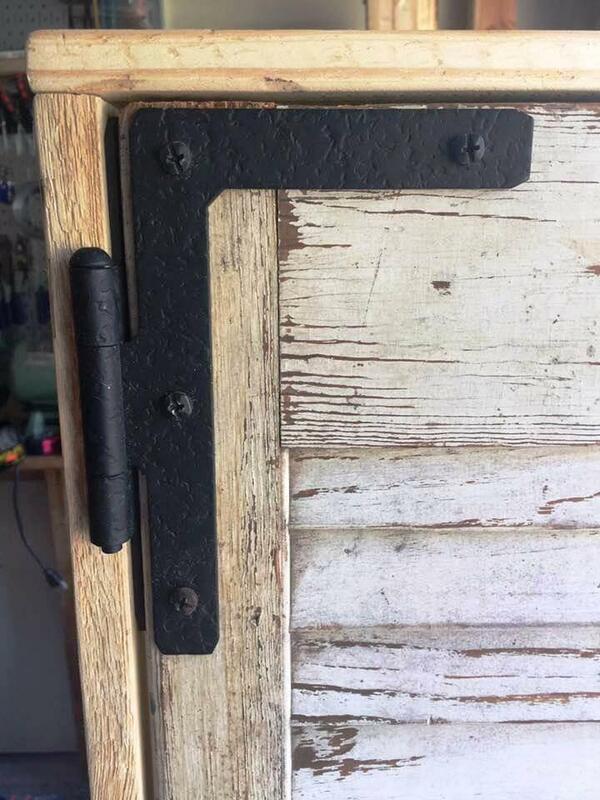 Lowers hinges different in shape and this bring extra cuteness to design!